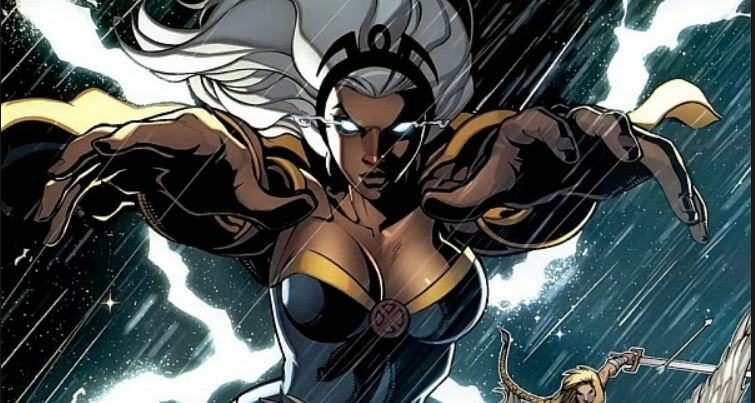 Storm is a marvel hero known for serving on the mutant super-team the X-Men. Storm has been depicted in multiple X-Men films and cartoons. Colossus was played by Halle Berry in X-Men, X2: X-Men United, X-Men: The Last Stand, and X-Men: Days of Future Past. 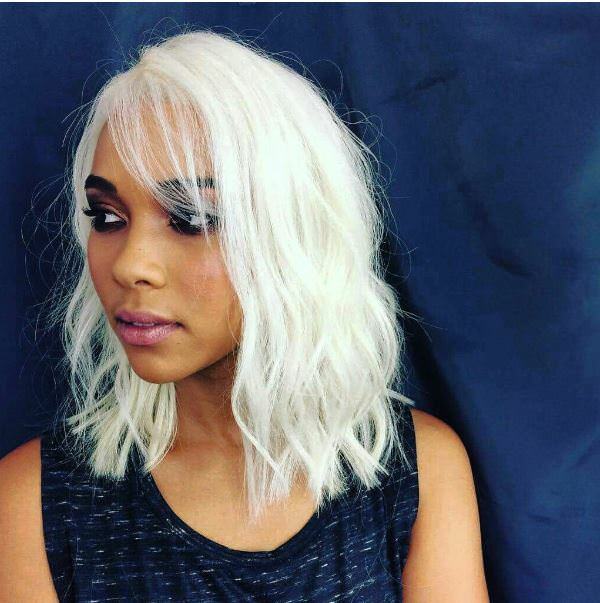 Actress Alexandra Shipp will play Storm in the film X-Men: Apocalypse, X-Men: Dark Phoenix. She also makes a brief cameo in Deadpool: 2. Historical Significance: Storm is the first black female Super Hero of significance from either Marvel or DC. Ororo Munroe is born in NYC. She is the child of a Kenyan tribal princess, N'Dare and an American Photographer, David Munroe. Ororo is only 6 month's old when the young family moves to Cairo, Egypt. When she is a five a fighter jet crashes into her home during the Suez Crisis. This kills her parents and buries young Ororo in rubble. She survives but is now an Orphan and has a deep seeded fear of claustrophobia. As street orphan she explores Cairo's back alleys and the street criminal Achmed el-Gibar who trains her to be a pick pocket. As a teenager she explores the Serengeti. There she has her first run in with T'Challa who she will later marry. The two quickly part ways despite being very attracted to each other. She is found by a priestess Ainet who adopts Ororo. Ainet helps Ororo explore her powers and how they can be used the best. She is worshiped as a rain goddess of the tribe. Professor X finds and recruits Ororo into the X-Men where she is given the code name Storm. She is shown as being a strong and calm member of the team. She eventually becomes one of the main leaders of the X-Men supplanting Cyclops. She has battles with Dracula and Callisto before eventually becoming a leader of the mutant rebel group the Morlocks. Storm goes to Wolverine's wedding in Japan to Mariko Yashida. There she meets Wolverine's old friend Yukio. Yukio teaches Storm to embrace her darker side. Storm begins to don her iconic punk look. She battles the Shadow King, goes to Asgard with the X-men. She has a long relationship with Forge but later they break up. After 90% of the mutants lose their powers in the House of M event Storm goes to Africa where she marries T'Challa the Black Panther. The two lead the Fantastic Four for awhile to allow for the Reed's to go on vacation. On a mission in space they are told by the Watcher that their children will have a special destiny. The Shadow King reemerges to play games with Storm. He takes control of both Cyclops and Black Panther in turns seemingly destroying her relationship with her old team and also her husband. She begins to see through the actions and recognizes the threat and begins to form a plan with the Panther god Bast. She fires a lightning bolt through the chest of Cyclops and the Shadow King leaps into her body. There he is destroyed by a waiting Bast who devours him. There are a few different versions of Storm active throughout Secret Wars. It is still unknown which versions will emerge after the event is over. Storm has been depicted in multiple X-Men films and cartoons. Actress Alexandra Shipp will play Storm in the film X-Men: Apocalypse. She also makes a brief appearance in Deadpool: 2. She will reprise her role in X-Men Dark Phoenix. In X-Men Apocalypse Shipp played Strom with her iconic mohawk look for the first time on film. However, In Deadpool 2 it appears her hair is back to her more traditional look. This was a quick cameo and some may not have noticed how she looked. Storm was played by Halle Berry in X-Men, X2: X-Men United, X-Men: The Last Stand, and X-Men: Days of Future Past.